Origin / ancestry Strawberry Kush Type: hybrid. Parents: Strawberry Kush is a cross between Strawberry Cough and OG Kush, producing a powerful Indica. May Relieve Nausea, chronic stress, chronic pain. Strawberry Kush is like a light and flavored OG Kush, strong yet gentle. It can be used by novice users for pain and discomfort from headaches to insomnia. Disease resistance Disease resistance is high. This plant is resistant to molds, mildews, other fungi, and bacteria, and viruses. Plant Height Strawberry Kush is a short plant. Adverse effects The most common side effect is dry mouth. It can also cause dry eyes, and rarely, panic. Growing difficulty Strawberry Kush is said to be easy to grow from clones. Strawberry Kush is a hybrid of the famous OG Kush and Strawberry Cough. It is popular in North America. 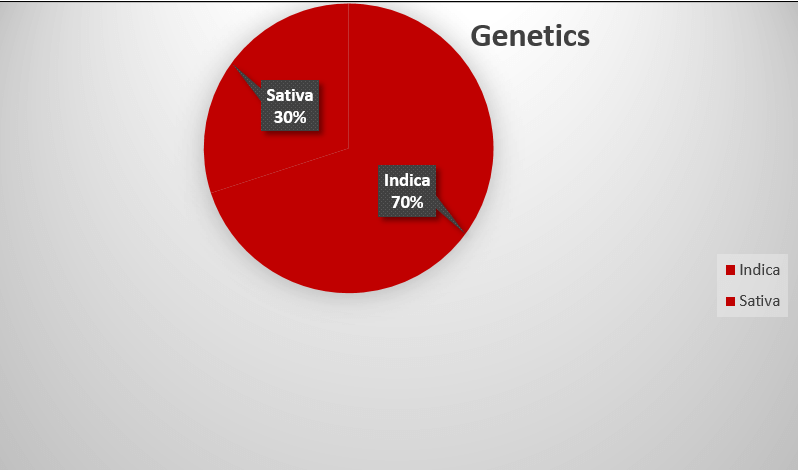 Some varieties have more Sativa genetics and produce more stimulation, while most varieties are Indica-dominant and geared towards relaxation. It is very popular as a recreational strain. It is known to create a good time and a prominent mood-boost for users. Strawberry Kush is a gorgeous plant with a short stature. It produces bountiful green leaves which stretch out from the center like welcoming arms. Dried and prepared, it forms a compact green nugget with orange hairs and frosty resins and trichomes throughout. A slightly purple hue can be induced through slightly cooler temperature exposure for a short period of time. Growing weed from Strawberry Kush cannabis seeds and cuttings is said to be comparatively easy. Strawberry Kush is clone only, so you will have to find cuttings from a cultivar that has the attributes that you want in your plant. You will need a warm, temperate climate, and Flower Power fertilizer or a comparable brand. A Mediterranean climate is ideal. It grows best outdoors but will still grow well indoors. This plant is short and wide. It will fan out so trimming will be needed at times. Indoors, Strawberry Cush will take 8 to 9 weeks until it is ready to be harvested. Strawberry Kush grown indoors will provide a yield of about eighteen oz. per square meter. Outdoors, you can expect about 16 ounces per marijuana plant. Strawberry Kush will be ready for harvest in the middle of the month of October. 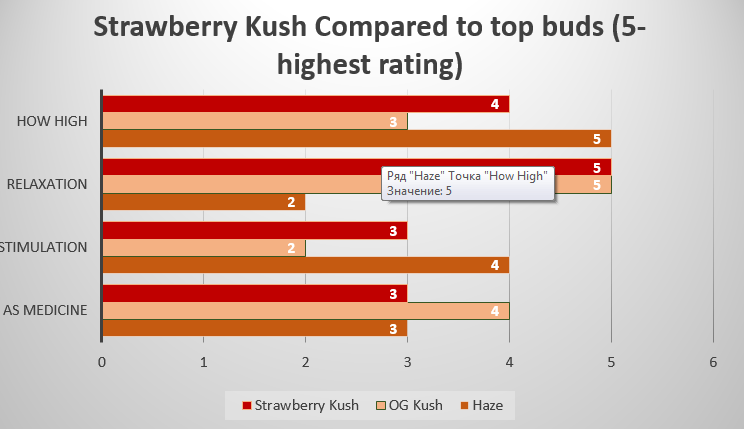 Strawberry Kush weed has medium range THC levels. 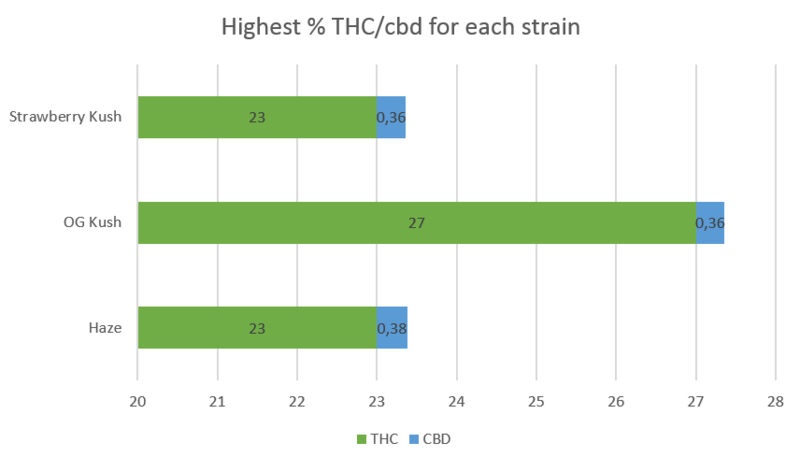 The levels tend to range from 18 to 23% with low CBD levels. 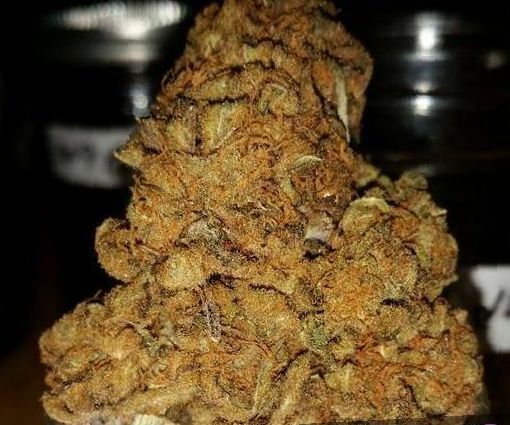 This is a variety popular with recreational users who use the sweet smoke to increase enjoyment of activities like spending time with friends and family or watching a favorite show. Strawberry Kush is a frequent choice for chronic pains such as migraines, back pain, fibromyalgia, CFS, and shingles. Strawberry Kush has a mellow effect that will not overwhelm the user. It will fight chronic pain without making it impossible to function. Strawberry Kush will relieve the symptoms of nausea from various causes including chemotherapy to treat cancer. The sweet taste will also stimulate appetite and make it possible to eat for those who have difficulty eating due to their health issues. Finally, Strawberry Kush will make is easy to fall into a profound and peaceful slumber. Users describe being carried off into sleep as if by a loving caregiver. 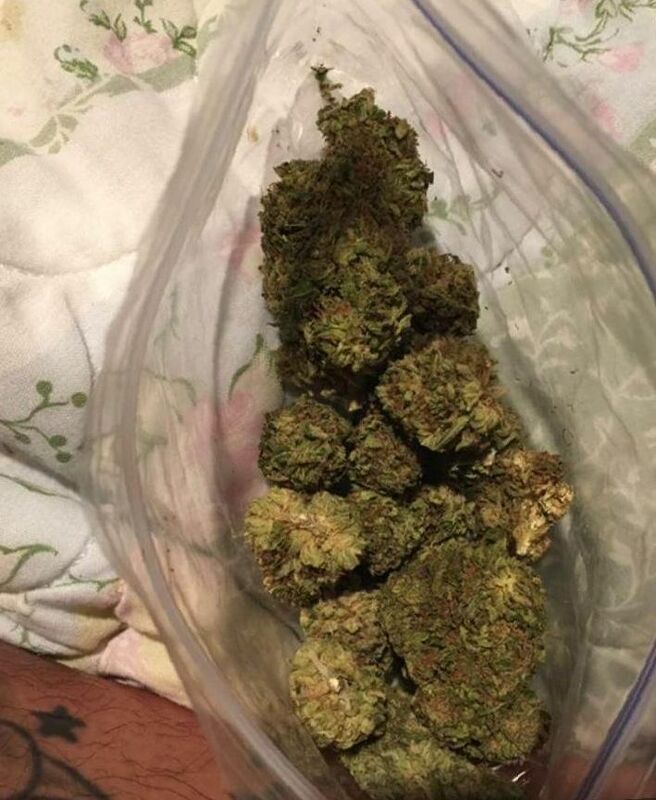 Strawberry Kush can be a powerful weapon against insomnia. Strawberry Kush is named for it’s sweet, delicious flavor and smell. It tastes of strawberries, sweetness, candy, and citrus. This sweet flavor advertises the mellow high and relief that is to come. This is definitely a euphoric but balanced strain. It will get you where you want to be without knocking you off your feet. It will envelop you in a blanket of comfortable warmth of pain-free and anxiety-free healing. The strong relaxation properties make this variety good for sharing with friends for cookouts and other leisurely activities. You will be able to function enough to enjoy your favorite, less-active activities like watching movies or having discussions with your mates. Strawberry Kush is a great variety to help you sleep comfortably and deeply. So, it can be a good sleep-inducer for those with insomnia, or those who just want an easy and comfortable way to enjoy a good and rejuvenating slumber.